Your legacy is important. As dancers, choreographers, and artists, we have a responsibility to document and preserve our art form for future generations. Even if you are at the beginning of your artistic career, the benefits of developing your archive include improving your organization's administrative efficiency, strengthening its self-knowledge, enhancing its public image, and contributing to scholarship and public education. The Artist's Legacy Toolkit will help you organize and preserve your materials in ways that are practical but neither time-intensive nor expensive. See below for guidelines on how to use the Toolkit depending on where you are in your career. The Artist’s Legacy Toolkit provides guidelines and tips for preserving your history. Tools, including templates and charts that can be adapted for use, are available to download as a zip file. When you see the → See Legacy Tool symbol, you can reference the appropriate tool. Below is a list of all the tools. 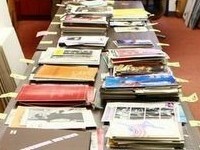 Pictured: Images of the Dance Theatre of Harlem archive room before and after an archive project. Photos by Judy Tyrus. 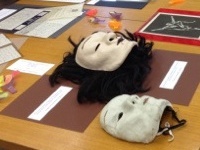 The Artist's Legacy Toolkit, developed by Lela Sewell-Williams, Imogen Smith, Johanna Seltzer, and Kat Bell, was made possible through funding from the National Endowment for the Arts, The Andrew W. Mellon Foundation, and The Gladys Krieble Delmas Foundation. The Records Management Guide was developed by Mary Wegmann and supported by funding from the National Endowment for the Arts. 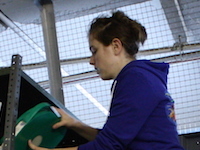 The Toolkit and Records Management Guide were designed by Ashley Blewer. Using this toolkit: Archivist Patsy Gay examining materials in the Dance Theatre of Harlem off-site storage space. Photo by Judy Tyrus. 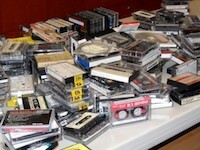 Identify: Audiotapes before organization, Dance Theatre of Harlem archive project. Photo by Judy Tyrus. Organize: Dance Theatre of Harlem programs in the process of being organized. Photo by Judy Tyrus. 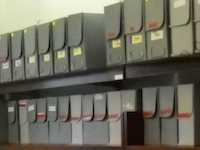 Preserve: Archival file boxes at Dance Theatre of Harlem archive. Photo by Judy Tyrus. 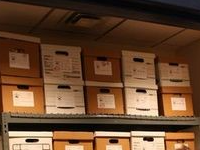 Access: Archival file boxes at Dance Theatre of Harlem archive. Photo by Judy Tyrus. 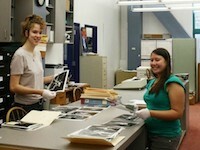 Resources: Archivists Patsy Gay and Kat Bell working with photographs at Dance Theatre of Harlem. Photo by Judy Tyrus. 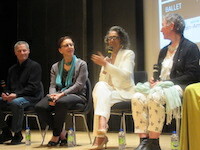 Copyright: Honorees Lar Lubovitch, Jill Williams, Joan Myers Brown, and Celia Ipiotis at the New York Public Library for the Performing Arts. Photograph courtesy of Jill Williams. 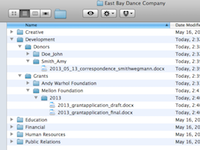 Digital Files: screenshot of sample file names by Mary Wegmann.